“He's gone for the return to van Persie, he has to come deep, now... ROSICKY! My word what a goal! Unbelievable effort by Rosicky. Arsenal double their lead. If there’s a better goal in the Champions League this season I can’t wait to see it. Two goalkeepers wouldn’t have saved that!” That passage of commentary is from Arsenal’s Champions League away match against Hamburg in September 2006. The Gunners, wearing a ‘Dubai’-emblazoned away kit due to a sponsorship clash with their German counterparts, secured a 2-0 victory over the Bundesliga side thanks to a Gilberto Silva penalty and a Tomas Rosicky rocket. It was the latter's first goal in an Arsenal shirt in a game which should have set the tone for the rest of his career. Rosicky arrived at the club just as a new era began to take place at Arsenal. The Emirates Stadium had been opened two months beforehand and the fresh faced Czech Republic captain was brought to north London from Borussia Dortmund for a fee in the region of £10.5million along with the nickname 'Little Mozart'. 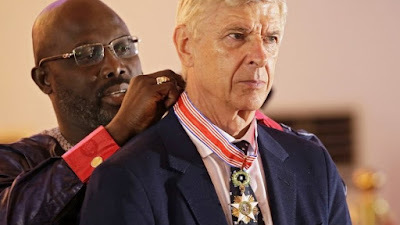 Everything about the player suited Arsene Wenger's side from his glide-across-the-pitch movement to the way he could turn away from an opposition player with ease. His deft touches, ability to pick out a pass from midfield and tendency to lob unsuspecting goalkeepers with a trademark chipped finish made him everyone’s favourite Arsenal player. Rosicky epitomised everything good about Wenger’s latest crop of talent. He was technically gifted, adored playing for the Gunners and, much to his regret, consistently suffered with injuries throughout his career. Indeed, the latter is an issue that Rosicky, Wenger and supporters will look back on and feel deeply frustrated about. Having been plagued by eight different types of hamstring problems and seven thigh issues over his Arsenal career, it’s fair to say that Rosicky has spent more time off the pitch than on it during his decade at the club. He has averaged 20 games a season since 2006, a figure which is only bettered, so to speak, by the injury prone Abou Diaby - a player who is still struggling with fitness problems at French side Marseille. In 2008, Rosicky was ruled out for 14 months with knee injuries, then another five months following surgery on his achilles tendon. His influence on the Arsenal side was played down due to the amount of time spent on treatment table, but it shouldn't be understated. 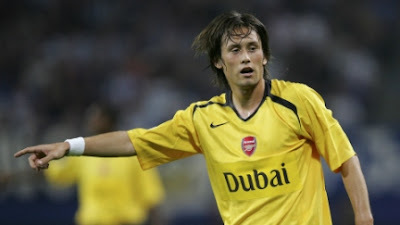 Every time Rosicky played, he contributed or led from midfield in a way that only Alex Hleb and Cesc Fabregas could do. Those technically gifted playmakers eventually departed the club leaving Rosicky as the main creative link between midfield and attack. It is easy to pin point which games Rosicky left his mark in. His marauding run and finish from the halfwayline in the FA Cup win against Spurs in 2014 was unforgettable, while two months later he scored the winner at White Hart Lane with an outstanding, venomous shot into the top corner. A man-of-the-match display in the FA Cup fourth round against Brighton was another memorable performance. Rosicky scored the third goal, notched an assist - which included a no-look pass, something that Phil Neville would have 'two-footed' him for if his comments on Match of the Day afterwards were to believed. Admittedly, Rosicky never got a full run of games where Arsenal fans could really indulge and appreciate his performances. Watching Rosicky was like going to your favourite restaurant once a year - you savour the moment when it happens and don't expect it to happen for a while after. Marco Reus saw him play for Dortmund while he was still a youngster and while many would pick someone more popular and well known as their idol, the German international says Rosicky could have been one of the world's best. Now 34, Rosicky will take part in what looks like his final European Championship with the Czech Republic this summer. He has a decision to make on his future following the tournament with offers from the MLS and United Arab Emirates already incoming. A return to where it all began at Sparta Prague seems the most likely and fitting option. Wherever Rosicky ends up, it was a pleasure to watch his 170 games in an Arsenal shirt. Yes, there should have been so many more but Wenger puts it aptly with a quote which encapsulates his entire career. "If you love football, you love Tomas Rosicky."